We use the latest manufacturing technologies to produce the highest quality equipment. Everything we do has a form, function, and purpose. Purchase our equipment on the Kabuki Strength Store. 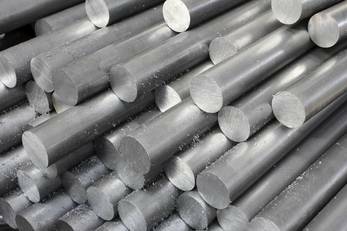 We source only the highest quality American steel from local steel mills. All the steel we use passes a stringent inspection process and each batch is tested for durability, hardness, and tensile strength. Our bars are designed to handle more weight than a human being could ever be capable of lifting, although we sure wish they could lift more! Besides checking the steel for micro-fractures and ensuring it meets its SAE grade, we also test each batch of stock for proper whip and to ensure it can handle an acceptable level of load without compromising its form or structure. We are known for producing barbells with the highest per-bar tensile strength rating of any barbell manufacturer on the planet. We’ve made costly investments in the latest and greatest manufacturing technologies which we use to produce equipment that has never been produced with this quality and attention to detail before. Large manufacturers of bars optimize their processes’ to increase efficiency even if this results in a decrease in quality or workmanship. 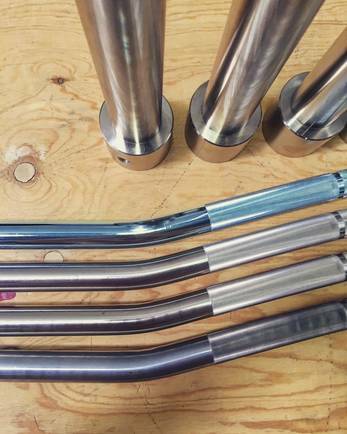 Our manufacturing process was created and implemented in-house, tailored to what we think is the best way of producing high-quality steel barbells built for high performance and longevity. And where a machine cannot get the job done, our skilled metalworkers step in and do it by hand. Many of our products require laser-cut parts which are then hand or machine-welded and tested thoroughly for weld integrity and an acceptable aesthetic form. Kabuki Strength is where technology meets craftsmanship. Every bar we produce is assembled right here in our facility by skilled craftsmen. Our employees are just as passionate about strength and lifting as you are, and this shows in the quality of each and every barbell we produce. Every bar comes with a signed card you can stick on your wall or keep in your drawer, just so you know that your bar was made with care and attention. Designed and engineered by Chris Duffin. Chris Duffin has a background in manufacturing engineering and has run entire companies in the automotive and aerospace industries. His skill is in creating equipment that adds value to the strength and fitness industry. Everything we do has a purpose and intent. Our products are built out of a need for science-based equipment that can be used for the betterment of the athlete and individual, today and into the future. We want to create a legacy, to add value to the industry and to people’s lives. What gap is there between science and performance? What kind of tool can we create to bridge this gap? 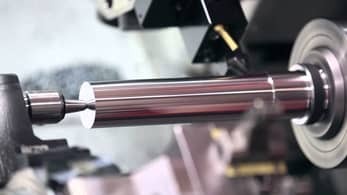 Our skilled engineers, programmers, and machinists figure out the most efficient way to turn an idea into reality. Everything we do follows a Test-Retest methodology until it is perfect. Load, durability, performance - these are just some of the types of tests we put our products through. After a product is in release candidate stage, it goes to production where we make as many as the market demands. Each piece of equipment is hand-tested to ensure consistency and the highest quality is attained. Visit our store and see what kind of equipment we have available.